"Janet Wozniak (Steve's awesome wife) threw a surprise party to celebrate Steve's 60 birthday. The party was located at The Tech Museum in San Jose, CA. 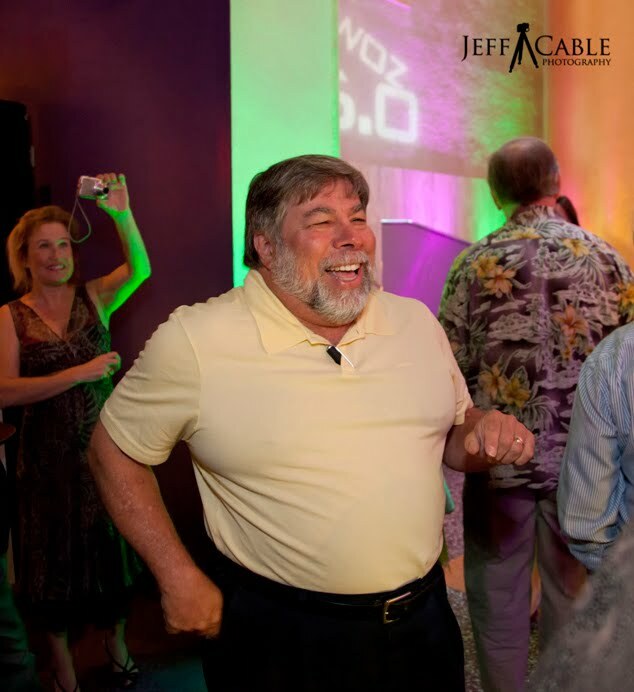 The big challenge was to keep it a secret and to surprise Woz. This is not an easy task for such a sharp guy..."
To get the rest of the story, with 19 photos from the party (including Drew Carey who is now 80 pounds lighter), hop over to Jeff's blog. The shots are terrific, with lots of interesting text too.